Went out for lunch with a friend at Xlendi Bay. All at the sudden it begun to rain heavily. We were lucky to get into the restaurant quickly! 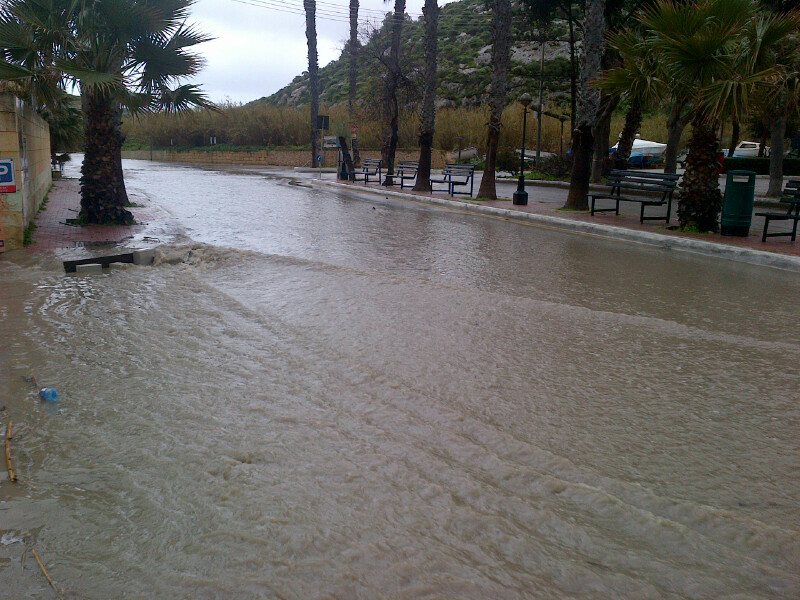 We spent there about two hours and, coming back to our car, we realized that Triq tal-Ghajn just became a river!